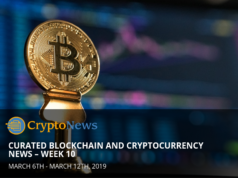 One U.S. State allowed taxes to be paid in Bitcoin, Cryptocurrency ETP approved in Switzerland, popular crypto exchange joins communist party and more in this week’s curated list of blockchain and cryptocurrency news. We have some developments regarding this series for you at the end of this article, so make sure to check it out. The relative stability of $6000 for Bitcoin was broken. For the first time since last year Bitcoin is at pre-boom levels. There are no clear reasons for the major selloff, but the price correction was connected with several events. Most notably, the BitcoinCash hard fork, which created Bitcoin ABC and Bitcoin SV on the very same day. The event is big and causes Coindesk, Fortune, Forbes, and other major publishers to cover the development. The connection between the two however, that’s a completely different story. While the hard fork may have played a small role in the price of Bitcoin, it is highly unlikely that it was the main driving factor. What do you think caused the price drop? With the help of Galaxy Digital’s EOS VC Fund, the video game developer received US$16 million in exchange for Series A preferred stocks. Series A stocks represent the first stock sold to the market, in regards to the seed capital of the company. In their early stages, this level of support is more than welcome, as the studio does not have any games published as of yet. The team’s roster however contains high-ranking officers and product leads from Activision and Blizzard such as Rudy Koch, who is a co-founder of the company. Rudy has over 10 years of experience and has worked on AAA titles such as Call of Duty, World of Warcraft, and hundreds of mobile games. The country’s largest equity exchange “Six Swiss Exchange” has approved the “Amun Crypto ETP” which comprises of Bitcoin, XRP, Ethereum, Bitcoin Cash, and Litecoin. Exchange traded products are regularly priced securities that are available for trade during working hours of the exchange supporting them. The U.S. is struggling, while Switzerland is spearheading in the institutional investment world. This exchange traded product will contain 50% BTC, 25% XRP, ~16% ETH, and the rest filled by BCH and LTC. 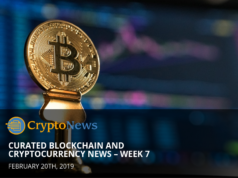 Together with this announcement, the SIX Swiss Exchange also announced that their digital exchange is in the works, but details are unclear and hazy. We do not know whether or not the exchange plans to have a cryptocurrency desk for now, but information will clear up in the near future. One of the “Big Four” professional services and auditing businesses KPMG claims that Bitcoin, as well as other cryptocurrency assets are not reliable as a means of exchange or store of value at this point in time. In short, with this report they predict a positive future for the technology and assets, but only after regulation, taxes, hard forks, scalability and other sensitive topics have been resolved. One of the top five cryptocurrency exchanges, Huobi has set up a Communist Party committee through their subsidiary in China “Beijing Lianhuo Information Service”. According to the Communist Party’s charter, any company that has at least three active party members needs to establish a party committee, and Huobi is abiding as a way to develop communication with the Chinese government. This is the first time a blockchain company has completed this step, while other tech companies (Alibaba, Xiaomi, Baidu) have already created their own branches. China is pro-blockchain, but wants to protect individual investors from the volatility that cryptocurrencies naturally have. Crypto assets are liabilities in the eyes of the Chinese government, and perhaps this move by Huobi will be able to bridge the gap eventually providing millions of Chinese citizens with the ability to freely trade and own cryptocurrency. Top civil servant, Subhash Chandra Garg will be leading the panel to draft the norms for cryptocurrencies in India, according to Quartz. The panel will meet in December 2018, and January 2019 to draft out the report and generate a bill for virtual currencies. The Indian government and National Bank are mandated by law to provide a clear stance towards crypto assets, before penalizing individuals and companies like they have tried in the past. In what has been an ongoing story of development for over a year and a half, will India be able to generate a clear, concise, and understandable stance towards crypto? While previous attempts garnered that regulations must be publicly available by July 2018, this process has been delayed and according to Garg this latest attempt may take up to March, 2019 to complete. Outside of this story, on November 20th the majority of information about cryptocurrencies are appealing to the shifting market direction, either shilling, or spelling D-O-O-M for everything. Classical FUD. Part of today’s world is currently run using blockchain systems. An increasing number of food producers, distributors, and retailers are joining blockchain-based food platforms. These platforms are created by various tech companies which collaborate and organize the process. It has quite a few successful use cases, and one professor from North Carolina has created an article that is all about Blockchain and Food. If you are interested in the topic of food, that article is definitely worth a read. Gibraltar Stock Exchange’s subsidiary,The Gibraltar Blockchain Exchange has received a full license from the national regulators to leverage their extensive stock exchange experience. They will provide the market with clarity, secure network of contacts, matching and pairing ICO providers and whitelisted investors. 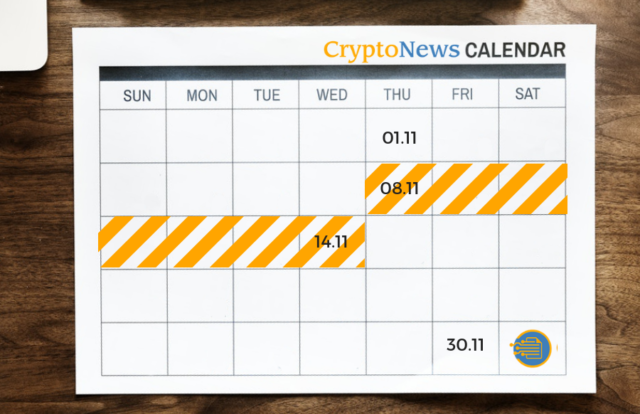 On November 15th, the first upgraded blocks were processed by miners starting off the race between mining power. The race to an end, and Bitcoin Cash preserved by Bitmain and Roger Ver. Bitcoin SV supported by CoinGeekMining on the other side. Of course, these names and companies are general. We cannot know exactly what happened, but we can see the results of the competition. The block trail grew faster on the side of Bitmain, and hence they get to keep the name. By November 23rd the total cryptocurrency market capitalization fell under US$140 billion, which is how much McDonalds is worth. Compare these amounts to the ones available in January 2018, when the market cap was US$819 billion. Cleveland wants to become a blockchain-hub in the USA. American Jerry Ji Guo, a former journalist of The New York Post and The Washington Post has been arrested by the FBI for stealing over US$3.5 million from his client’s wallets. He is facing a sentence of up to 20 years, and at least 5 years and 3 months in prison, as reported by The Daily Beast. Officially http://ohiocrypto.com/ has started their operations, enabling businesses in the state to pay their taxes with Bitcoin, as reported by the Wall Street Journal. They observe this state’s move to accept bitcoins for taxes as a move to support the technology. Ohio businesses can visit the link above and pay all forms of taxes through the page. This is the first time a state has allowed for this type of tax payment to happen. The Ohio State Treasurer is handling the Bitcoin transactions with the help of BitPay. However, this move does not give the currency any legal status. It merely leverages the technology to provide citizens with the ability to pay using this (for now) alternative method. The weekly curated list is on a new schedule! Check back every Monday for a weekly rendition of all interesting stories packed in one single article. 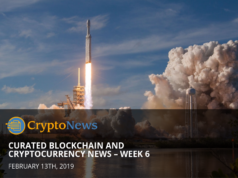 Everything you need to keep in touch with cryptocurrency and blockchain developments.